Pedestrians will rule the road on Saturday morning when just about anyone will be allowed to stroll along a new, mile-long stretch of Martin Luther King Boulevard in downtown Las Vegas. Vehicles won’t be allowed on the new chunk of road until Labor Day weekend, but walkers can take a leisurely look from 8 a.m. to 11 a.m., according to the Nevada Department of Transportation. A reconfigured Martin Luther King Boulevard running between U.S. Highway 95 and Oakey Boulevard will become a major connection for the Medical and Arts districts in downtown, NDOT spokesman Tony Illia said. There are several differences between the new and old segments of Martin Luther King Boulevard. 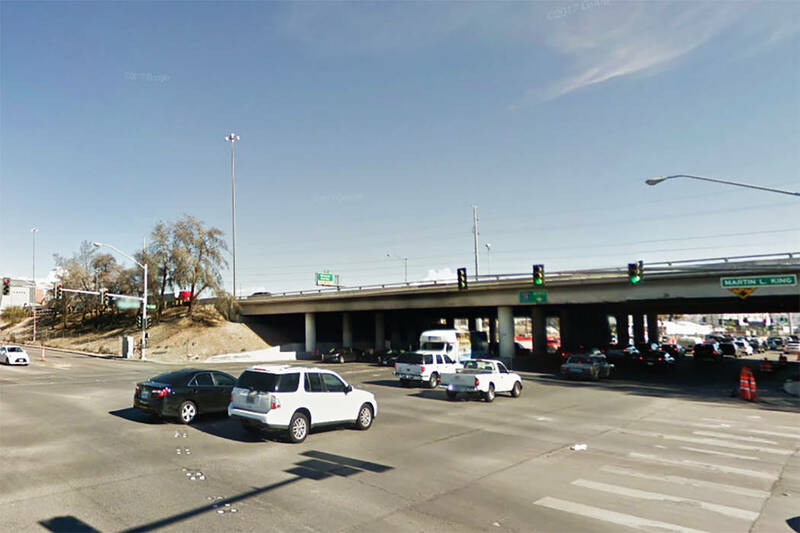 The current Martin Luther King Boulevard will no longer connect to the southbound Interstate 15 on-ramp, and will eventually become a collector-distributor road that will have limited access while running alongside the freeway, Illia said. Under the new design, Martin Luther King Boulevard will be elevated and run above Charleston Boulevard to relieve traffic congestion for both streets, Illia said. Traffic signals and new access points were also added at the street’s intersection at Bearden Drive. Additionally, the boulevard’s intersection at Alta Drive was widened for greater traffic capacity, Illia said. The improvement is part of the $1 billion Project Neon, which calls for widening the Spaghetti Bowl freeway interchange of I-15 and U.S. Highway 95 through Sahara Avenue by July 2019. Displays will be posted at NDOT’s “Fun Walk” on Saturday morning to help explain how drivers can navigate the new Martin Luther King Boulevard, Illia said. The Corner Bakery Cafe will sell refreshments. Roughly 26,000 vehicles drive daily along Martin Luther King Boulevard, between U.S. highway 95 and Oakey Boulevard in downtown Las Vegas.